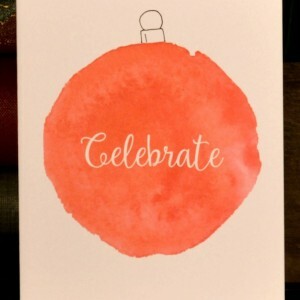 This listing is for one set of 6 holiday cards, all with the design shown above. 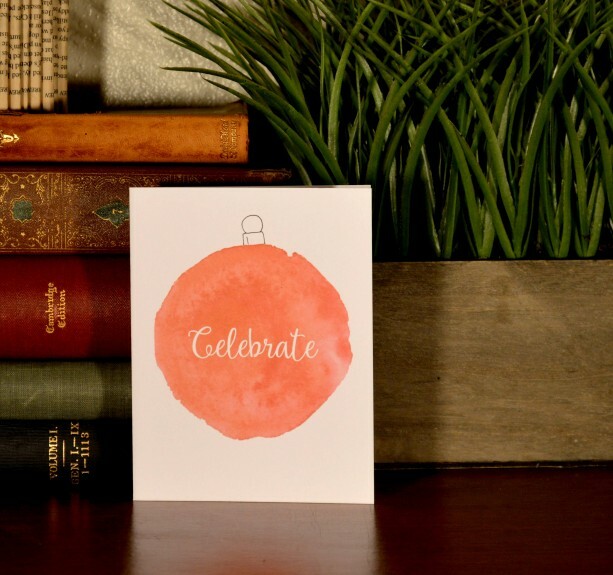 The design is a simple but beautiful water-colored red circle, with a hand-drawn ornament hook at the top. (Each one is unique!) 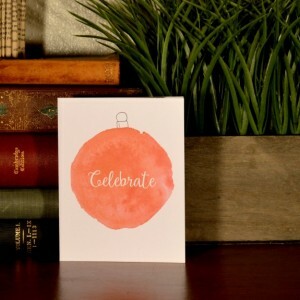 The word "Celebrate" is knocked out in white right over the ornament for a festive suggestion, perfect for the holidays. 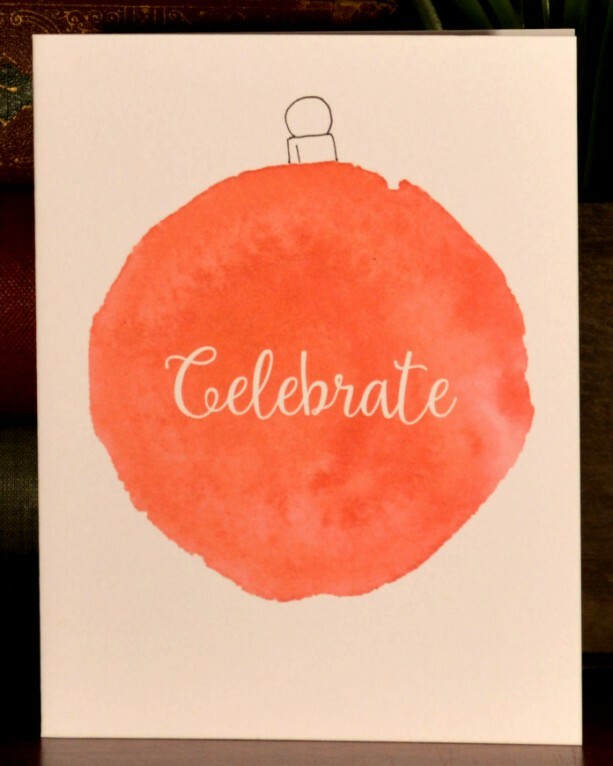 The cards are blank inside, and come with six plain white envelopes. The cards measure 4.25" X 5.5" (with the envelopes measuring just a touch larger), and should take a regular USPS stamp. If you are interested in a custom design, please let me know, we can create something just for you!